I know I have been away for a long time! Excusez-moi my utter laziness. Past couple of weeks I am taking a break from blog work and visiting my relatives and relaxing (who am I kidding, I mean hibernating, no jokes! I literally have been sleeping for 35 - 40 hours out of the 48 hour weekend). It was one of my new year resolution to start this year rejuvenating myself. Now I am bored with relaxing! I hate sitting idle and not working. I find the day boring if I am not working like a maniac. Nevertheless, I have a bucket load of backlog posts. Starting this week with a blog post about my favorite place for Sunday brunch, Cafe Noir. Tucked away on the fourth floor of Orion mall, Cafe Noir enchants people with its authentic French café aura. For few fleeting hours, Cafe Noir transports you to the streets of France for a French café experience. The ambience of this place is one of the main reason I keep going back to Cafe Noir to start my Sunday morning. The grey walls, simple chairs and dim lighting bathe your senses with "I am home" sort of feeling. My staple Sunday morning involves ordering freshly made waffles with chocolate sauce and writing blog posts. 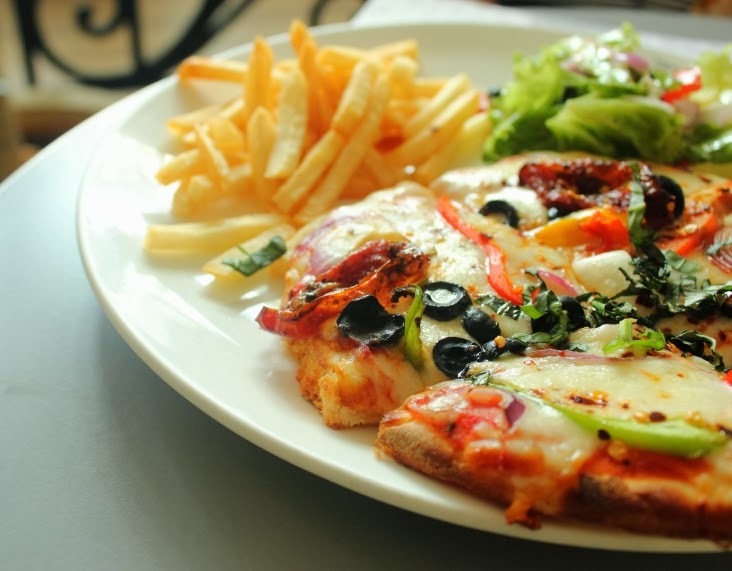 The "menu du jour" comprises of quintessential French dishes such as salads, pizzas, pastas and sandwiches. They have a separate menu for desserts (must say my favorite menu) which is filled with exotic varieties of tarts, crepes and pies. 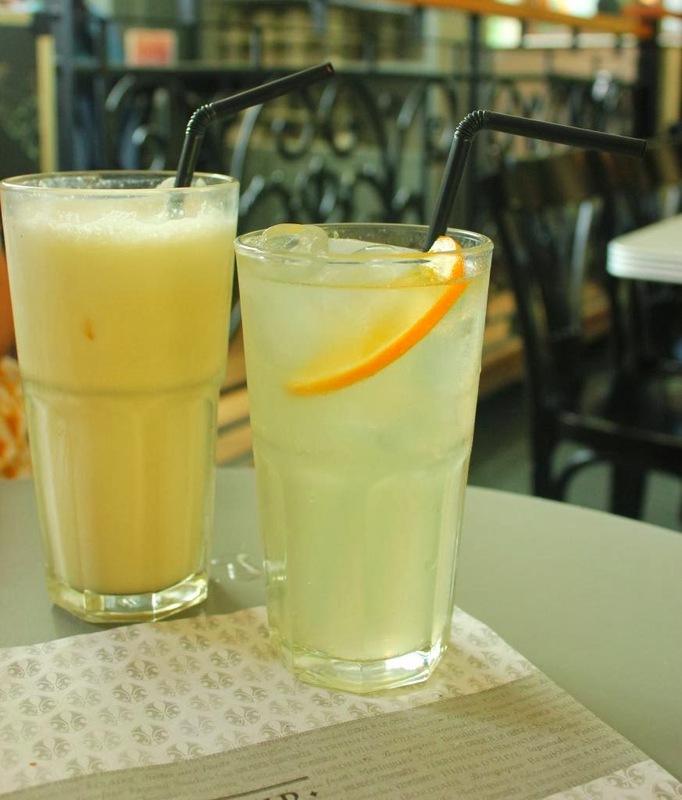 Cafe Noir has many great combo offers which are value for money. I ordered one of the combo meals. 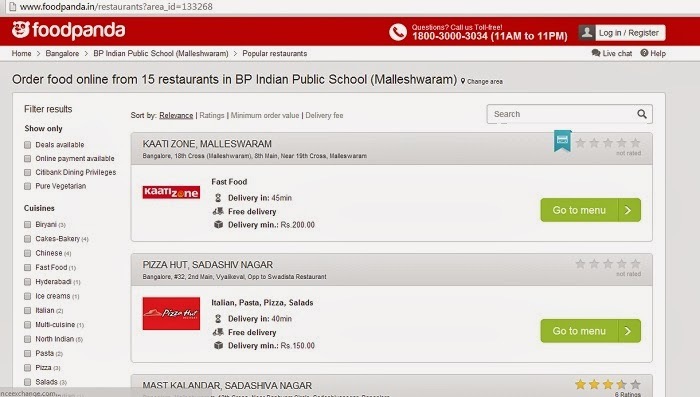 It consisted of Salad, pizza and lime soda for just Rs.400! The food is good enough to serve two people. My "l'expérience française" started with Caesar salad. The simple presentation and a spoon of chocolate sauce makes the salad a must try. The classic Caesar salad dressing consists of olive oil based vinaigrette with raw eggs. Most restaurants now substitute raw eggs with mayonnaise. I am not a huge fan of mayonnaise and therefore just opted for a simple olive oil based vinaigrette dressing. The crusty Italian bread with gratings of Parmesan cheese makes it a mouth watering delight. For my main course, it was fresh vegetable pizza. The moment I saw the pizza on the table, I was transported to food heaven. The smell and colors make the pizza a great visual treat let alone being a gustatory bonanza. I highly recommend all of you to try pizza in Cafe Noir. I normally do not enjoy tomatoes as a pizza topping, but sun dried tomatoes are an exception. 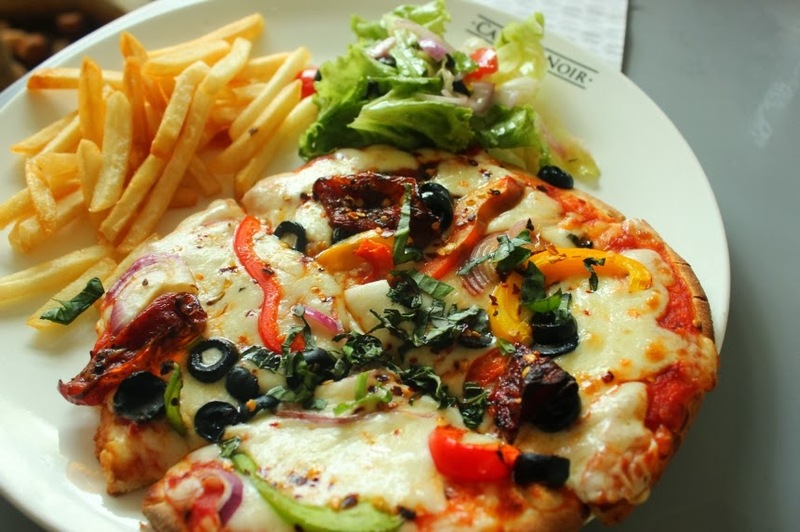 If you are a pizza lover like me, then the main course is a relishing experience which leaves you wanting more! Finally, this blog post is an ode to the "Cafe Noir waffles" which inspired me to write so many blog post. I strongly suggest waffles with chocolate sauce without cream or ice cream. 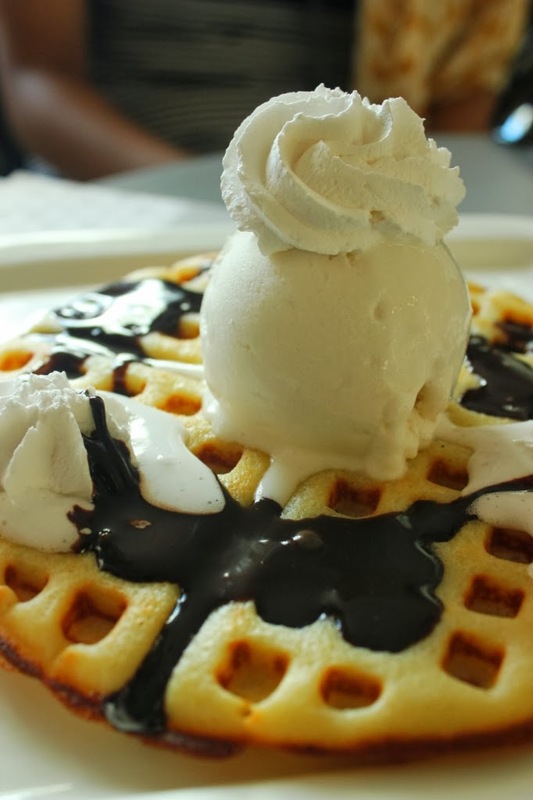 The ice cream is overkill and definitely ruins the waffle experience. By far my only problem with Cafe Noir has been its hospitality. The waiters are not that friendly. One has to wait for at least 20 minutes to place order. 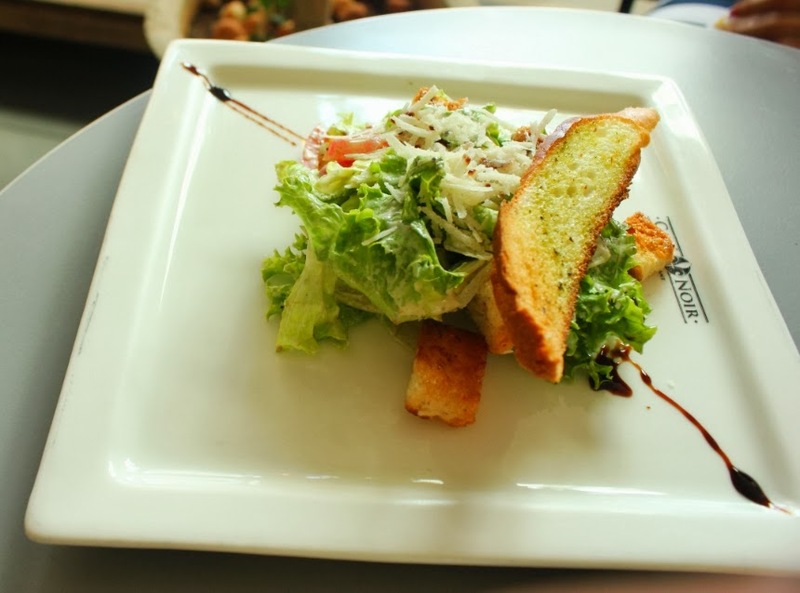 If you move past that shortcoming, Cafe Noir is a must visit culinary stop. Next time any one of you is at Cafe Noir, do tweet me your experience.